James Gordon Patterson Photography: Opening Day at Turf Paradise! Opening Day at Turf Paradise! 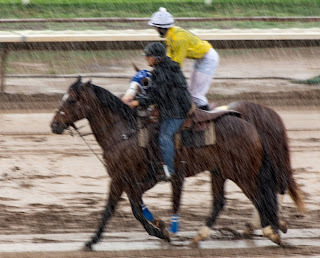 The Phoenix area had a thunderstorm an hour or so before opening day at Turf Paradise. I was happy! Why? I got a chance to photograph race horses in the rain, which is pretty rare here in the desert. Lightening was hitting all around us by the time I got inside and I did wonder if they'd pull this race meet off for the day. They did! The first race was in the rain, then it cleared up nicely the rest of the way. I got a free tee-shirt and a few hot dogs and beer. 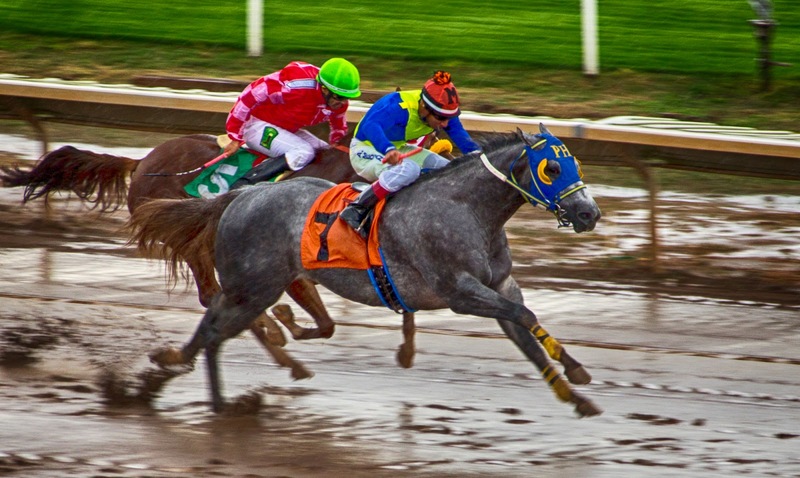 First time, however, I ever won a race and actually got less back than I bet. That was odd. 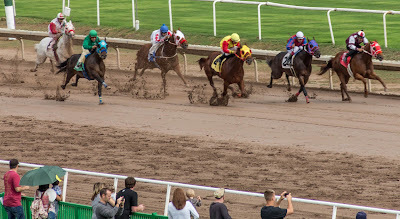 …and more photos from Turf Paradise!